Consumer confidence in Malaysia hit a 10-year low in Q3 2015, according to a Nielsen study. To save money, 51% said they are switching to cheaper grocery brands. Private label or grocery brands are in a good position to capitalise on the frugal spending environment. Consumers want cheaper prices but they are not willing to sacrifice on quality. Branded private label marketed as exclusive products sold under a distinctive brand name, not the generic in-house label, is a strategy adopted by CGH Retail to improve private label penetration to reap higher margins. GCH Retail, the operator of Giant, Cold Storage and Guardian, is currently pursuing the twin strategy of in-house brand under the Giant label and First Choice labels and branded private labels such as Papa Alfredo (olive oil and spaghetti/sauce) and Southdale Farm (cheese and butter) sold as exclusive products. The branded private label brands of GCH Retail are unique because they are marketed as exclusively imported products. Being imported also carries the message of better quality. Hidden in the fine print is the message the product is exclusively imported and distributed by GCH Retail (Malaysia) Sdn Bhd made under the commission of Hong Kong-based DFI Brands Limited. 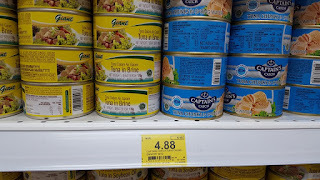 As most consumers are not aware GCH Retail is the operator of Giant and Cold Storage, most people will not be associating the branded private label as a grocery brand thinking it is just a new product on the market. Here is a list of branded in-house products by GCH Retail in Malaysia. 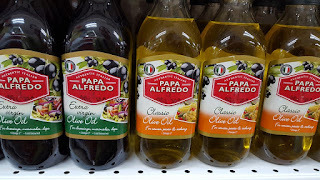 In the extra virgin olive oil category, the GCH’s Papa Alfredo is the cheapest compared to the other Italian extra virgin olive oil brands – Colavita, Bertolli and Filippo. 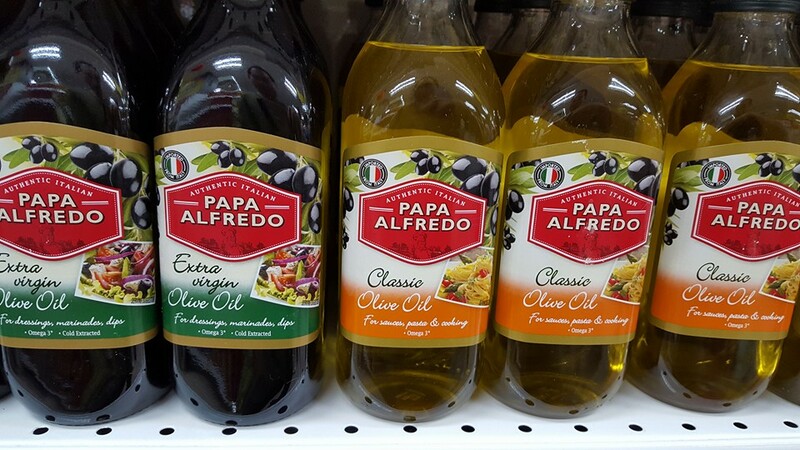 Allegro, which slight matches the price of Papa Alfredo, is imported from Tunisia, a less well known source for extra virgin olive oil. 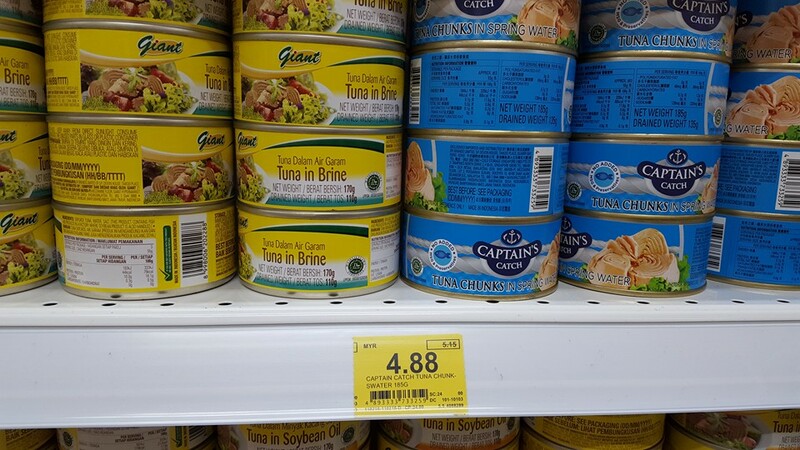 In the canned tuna in spring water category, the Giant in-house brand is the cheapest, while the exclusively imported brand Captain’s Catch competes with its branded equivalent and therefore fetches a higher than the Giant brand. Both Giant and Captain’s Catch are imported from Indonesia. In the kitchen towel category, GCH Retail has three brands Giant, First Choice and Feather Soft. Feather Soft, which is imported from China, comparably priced with its branded equivalent Royal Gold and Premier. The branded in-house products enjoy strategic in-store placement. There is no mentioning in the in-store materials that these products are GCH’s private label range. With consumers tightening their purse, GCH’s unique private label strategy might work due to the combination of value and quality (imported) perception. The use of unique sounding brand names also means consumers who are wary about private label are more willing to give them a try.